A citation points towards a specific source of information, and contains all the information you need to find it. You'll find citations in textbooks, encyclopedia articles, academic books and journal articles. Lists of citations are called "Works Cited" or "Bibliography" or other names, depending on the discipline. The citation specifies the exact volume and issue of the journal, plus the article's first and last page numbers. Presence of a DOI: While a DOI is part of the citation of many journal articles, DOIs are also assigned to some books, book chapters, conference proceedings, etc. The use of italics, bolding, and "enclosing text in quotation marks" varies among journals, disciplines and publication styles. For a citation with an abbreviated journal title (e.g. Adv. Appl. Math. Mech. ), search on Google to determine the full name. For a long title, as in the example below, enter just the first 5-6 words. If you don't see a link to PDF or HTML full text, click on the button to connect to full text. 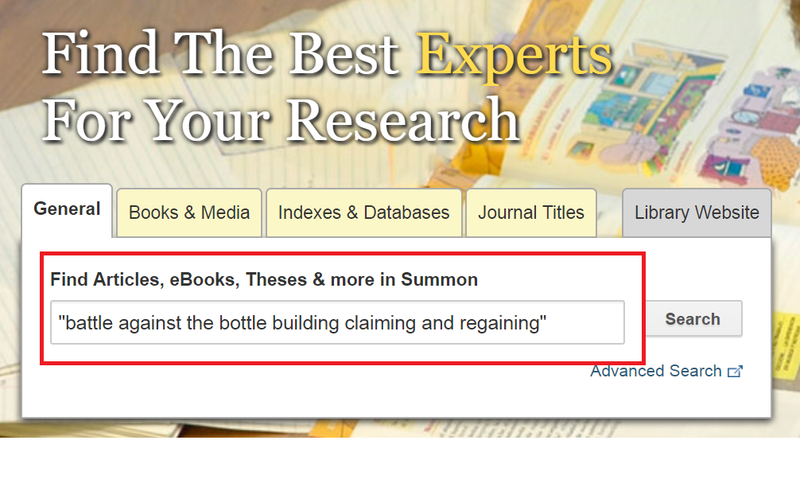 To find journal articles by author, you can use Summon. 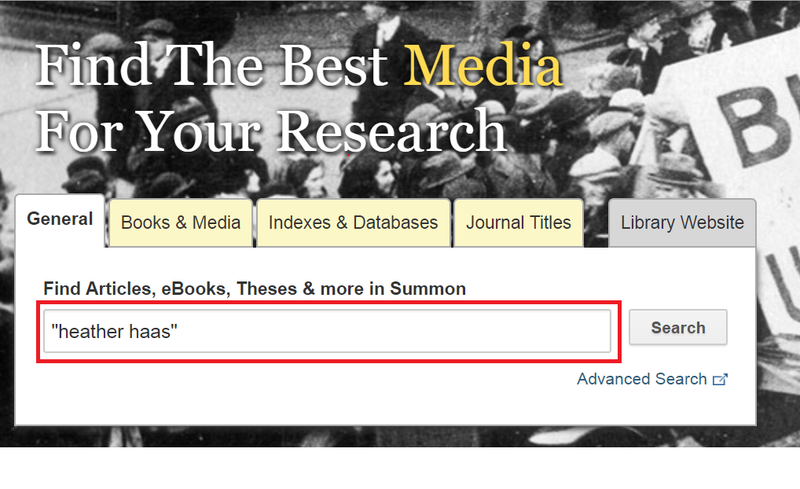 Type the name of the author in the "General" search box on the Library Homepage. As with the example below, remember to add quotations to search for the author as a phrase.